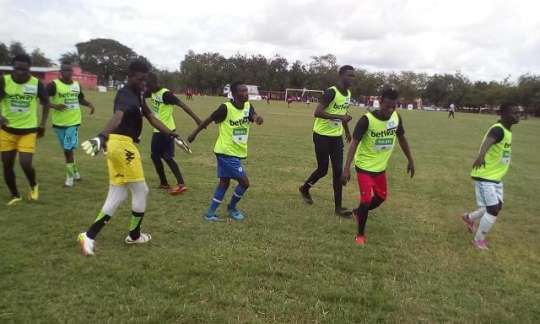 Betway Ghana Limited, one of the leafing betting companies in Ghana, over the weekend, organized a special football competition for the youth dubbed “Betway Talent Hunt” in the Northern region. The competition, was aimed at hunting for football talents, between the ages of 18 to 25 and nurture them to become professional footballers in future. Stephen Appiah, former Black Star’s captain, who doubles as the Official Brand Ambassador for Betway Talent Search, interacting with the media, said he would use his technical experience to support grassroots football. This he said would help develop the players to the national and international level. Mr Kwabena Oppong Nkrumah, the Country Marketing Manager of Betway Talent Search who was part of the scouting team, indicated that the project, which is across the country would give the aspirants the opportunity to exhibit their talents and make it to the top. According to him, 500 aspiring professional football players participated and 24 were selected by the panel of coaches and scouts in Tamale. He said after the nationwide selection, a total of eight players would be drafted into the four Ghana Premier League clubs for Betway Talent Search to sponsor their stay in the clubs. The Betway Group is leading provider of first-class entertainment across sports betting, casino, bingo and poker.